This foot rest adjusts to the angle required via the coated metal rockers. Bexhill Rocker Style Foot Rest...This foot rest adjusts to the angle required via the coated metal rockers. 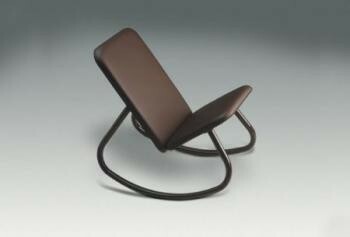 Available in Dark Brown dralon or brown PVC. Lower cushion size: 305 x 405mm (12 x 16"). Upper cushion size: 305 x 305mm (12 x 12").